Embelish Away: Embellished garments were definitely in abundance this year. 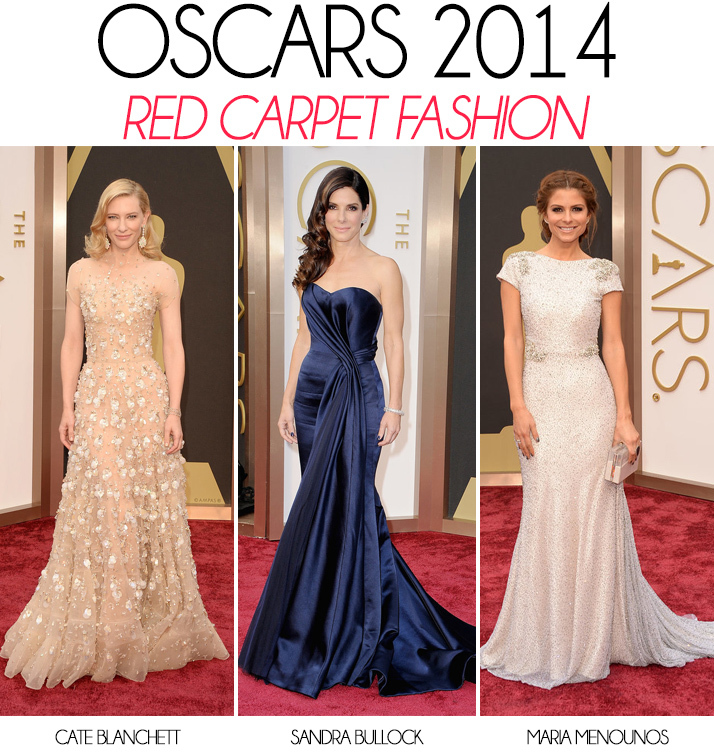 My favourites were Jenna Dewan, Cate Blanchett & Maria Menounos. Cinch That Waist: Pretty much all the girls were wearing dresses fitted at the waist, with the exception of one or two and the gorgeous pregnant ladies, for obvious reasons! The ones with the best fits in my opinion were Lady Gaga, Kate Hudson & Sandra Bullock. Shimmer & Shine: Metallics was one of the hottest trends for the Oscars this year, and we saw a fair few gorgeous shiny frocks! My faves were Kate Hudson, Emma Watson & Angelina Jolie. 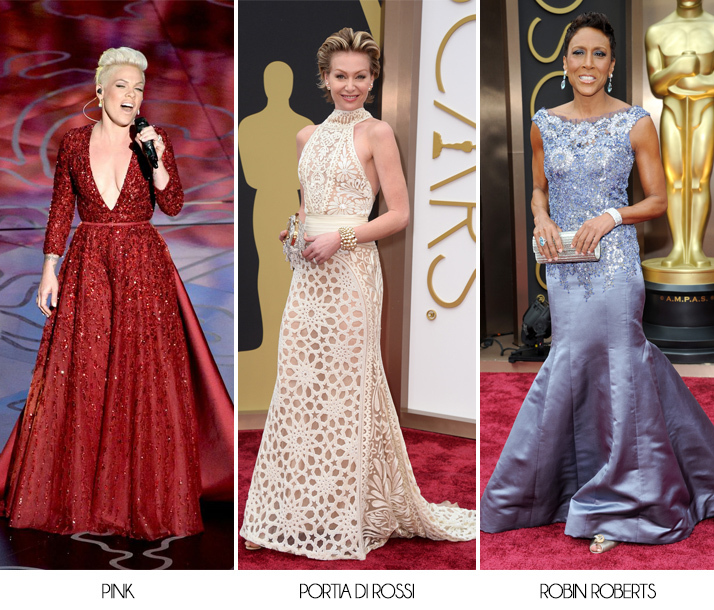 McDreamy: The easiest trend to spot this year was the soft, pastel, angelic colours on the Red Carpet. It was almost like Spring had arrived early, and some of the celebs literally looked like pretty angels! 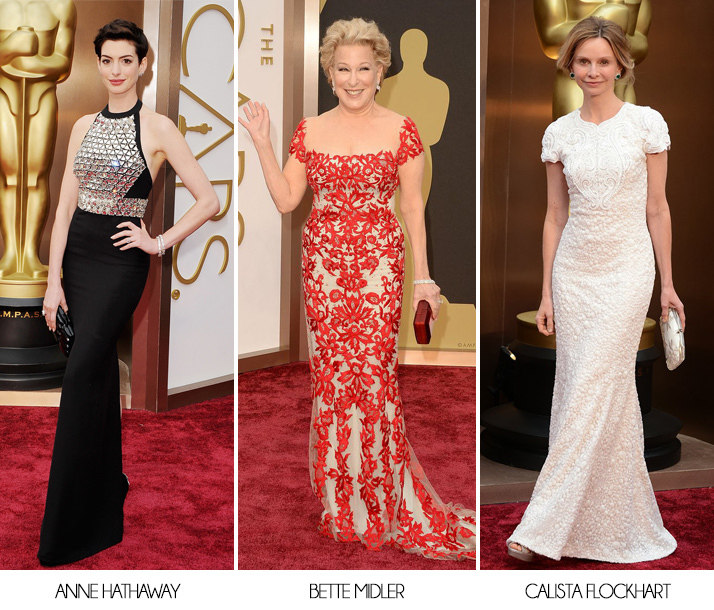 I think the cutest ones were Indina Menzel (pale dress), Laura Dern & Calista Flockhart. Blacked Out: A bold choice for the Red Carpet, but it certainly tickled the fancy of many A-list celebs this year. 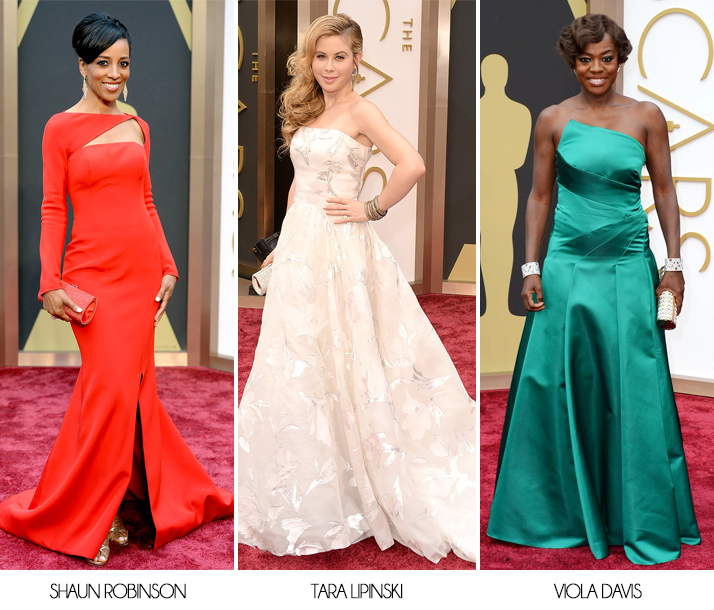 The absolute stunners in my opinion were Olivia Wilde, Charlize Theron & Glenn Close. 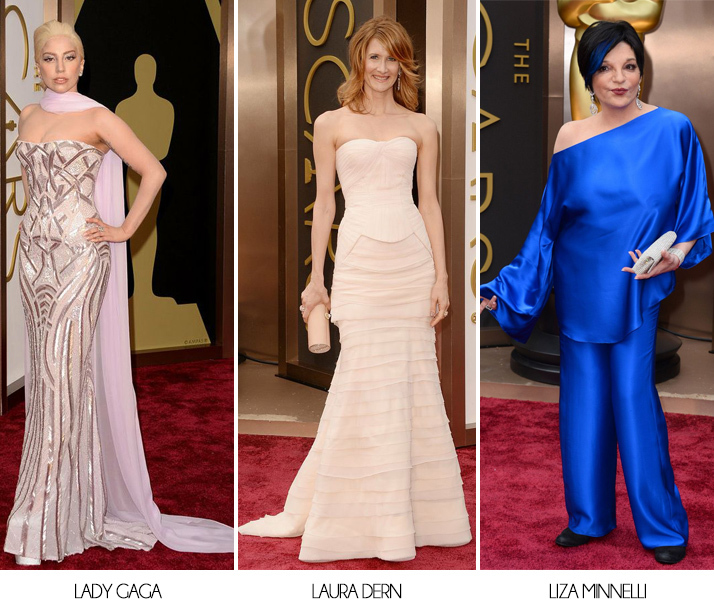 To see more pictures, go to my Oscars 2014 Red Carpet Pinterst board. Now it’s your turn to vote! Who were the three best dressed in your opinion? My top 3 were Cate Blanchett, Maria Menounos & Sandra Bullock! 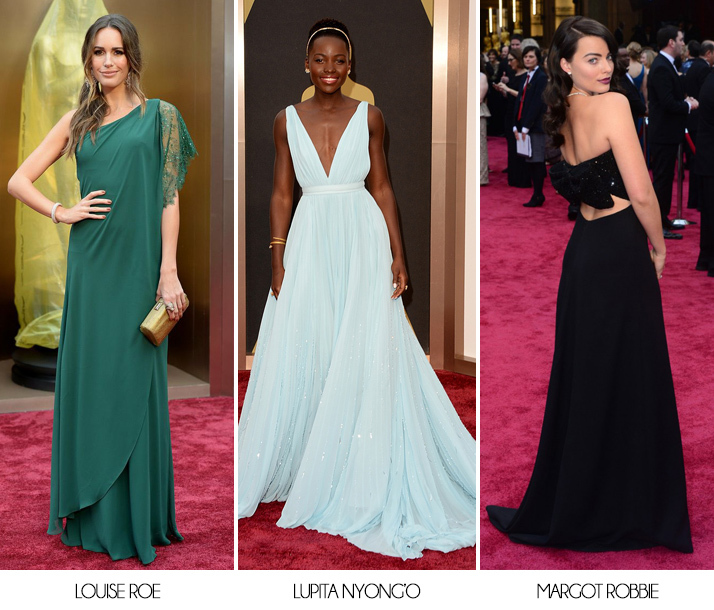 I’ll see you all tomorrow with the Oscars 2014 Red Carpet Beauty! Essie Fiji – Worth the Hype? Cate Blanchett, Charlize Theron & Sandra Bullock I liked most! Emma looks amazing too! Amy Adams, Emma Watson e Naomi Watts! O que menos gostei foi o da Kerry Washington, parece que ela se enrolou na toalha depois do banho =/ A Olivia Wilde ficou uma grávida muito mais chic!